A beautiful way to present your wine offerings. This durable sewn wine book has a soft grain leather-like feel and allows up to 24 views. 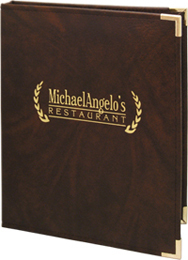 These menu covers are available in five color choices and one layout option. Coordinating vinyl insert pages are sold separately. May be foil stamped or blind embossed with your custom artwork. 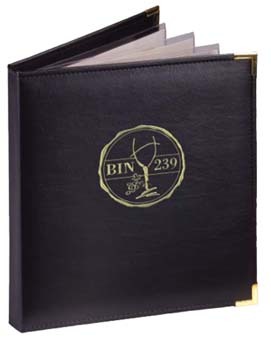 This durable sewn wine book has a soft grain leather-like feel and allows up to 24 views.